I'm a sucker for monochromatic pages and this one by Heather Shank leaves me speechless! 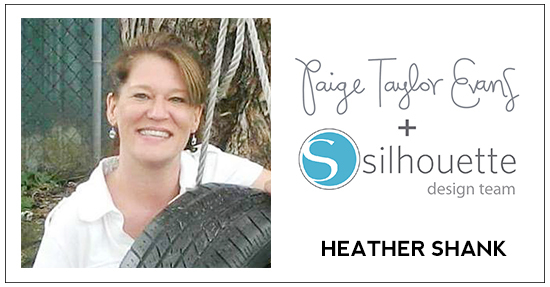 Hi everyone, Heather here and I'm back with a new layout for the Paige Evans + Silhouette Design Team using the Pick-Me-Up collection. 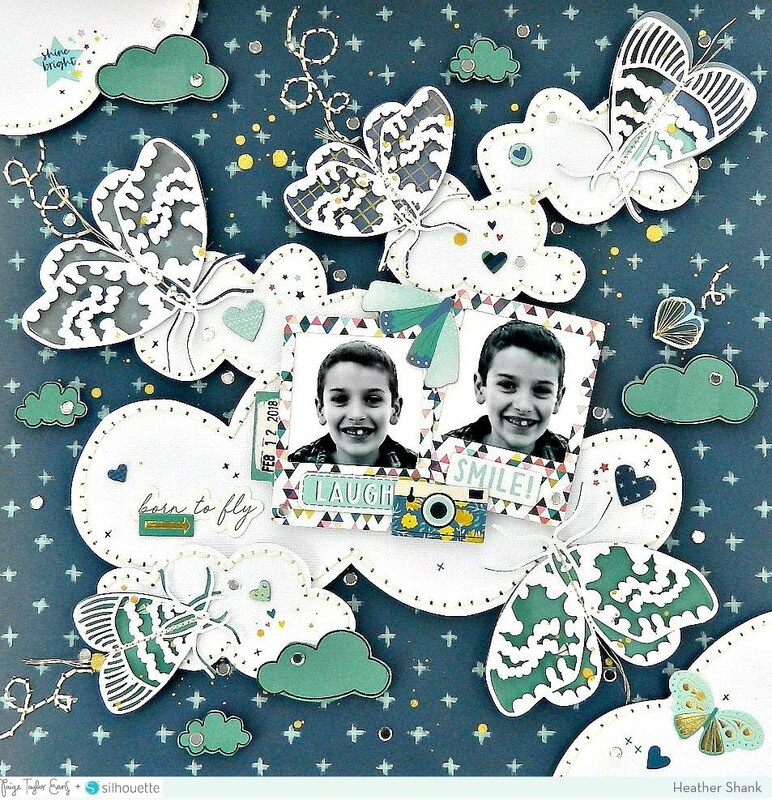 I started off by cutting out the beautiful Moths cut file from white cardstock with my Silhouette Cameo and backed them with all the blue and teal colors from the 6x6 Paper Pad. Next, I knew I wanted a sky background so Paper 03 was the perfect choice! 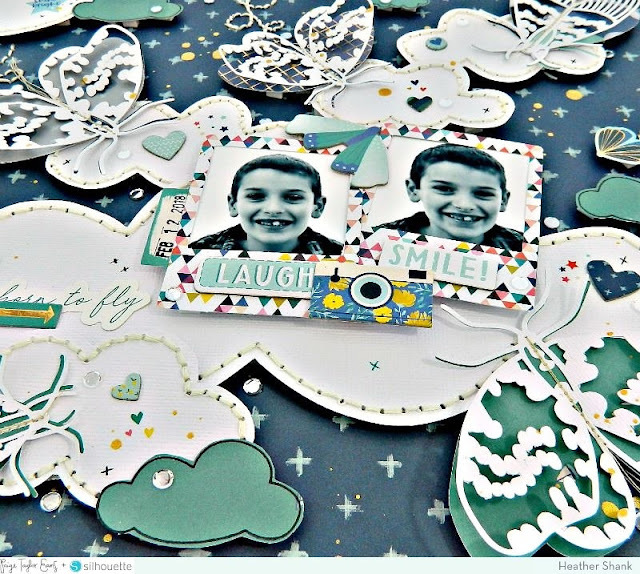 I then hand cut a lot of clouds to scatter across the page to rest my photo on along with the moths. 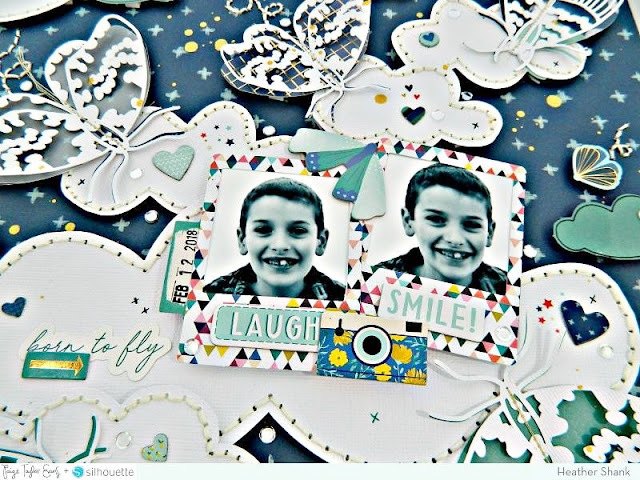 To finish off my layout I used the frames from the Ephemera Die Cuts to highlight my pictures and all the blue and teal pieces from the Chipboard Stickers and Stickers sheet. I hope you enjoyed this monochromatic layout and it inspires you to create! The attention to detail that Heather gives her layouts is so amazing! Everywhere you look there is something new to be discovered and appreciated! This is STUNNING! LOVING the colors and the butterflies!!!!! !